A lot of exciting work is going on in the social media community that could have radical implications on how we design information systems for crisis response. 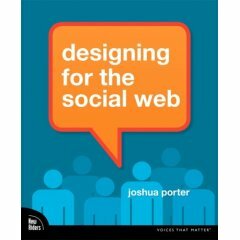 Inspired by the book Designing For The Social Web by Joshua Porter. It is a neat little book presenting the core issues when designing social web applications. A key concept in the book is that it is of out most importance to identify the primary activity of the application and the social objects related to this actitivity. Social objects could be viewed as boundary objects. Social objects are the “things” we interact with and talked about when using the application. From my perspective, social objects add a new flaviour to information and data modelling. In comparision with data and information modelling that basically is focused on “business terms and business objects”, social objects are more focus on the users experience of what is or will become important. I find the term social objects very liberating concept that open up for new perspectives. When objects in an application is understood as social, then the application design must conform to the fact that it deals with social objects and necessary features in order to manifest that they are used in social interaction. I wonder what would happen if someone would redesign a classical Command and Control System and tranform it from something hierarchical and closed into something more network-oriented and open. I can imagine that when we start to design for what people talk about instead of designing based on “a need to know basis” or based on “formal task descriptions” , we will end up with system designs that in this work domain will radically change how we understand command and control.